Click here to view a graph of the school's weekly attendance figures. Attending school is hugely important. All parents/carers have a legal responsibility to ensure their child regularly attends school. Attending school gives children the best possible opportunity to reach their potential, through engaging with the entire curriculum. Research shows that children who attend school less regularly often fall behind and can ultimately achieve lower qualifications than they otherwise might. In addition to this, there are many social aspects of school life which children can miss out on; in particular, the forming of strong friendships and relationships with their peers and becoming involved in wider school life. Even having an attendance of 90% means a child will miss out on almost 4 whole weeks of learning in school. This is a significant proportion of the school year. Indeed, if a child's attendance continues at this rate throughout their education, they will have missed a whole year of school life. This is why we place such importance on attendance at Mount Pleasant Primary. 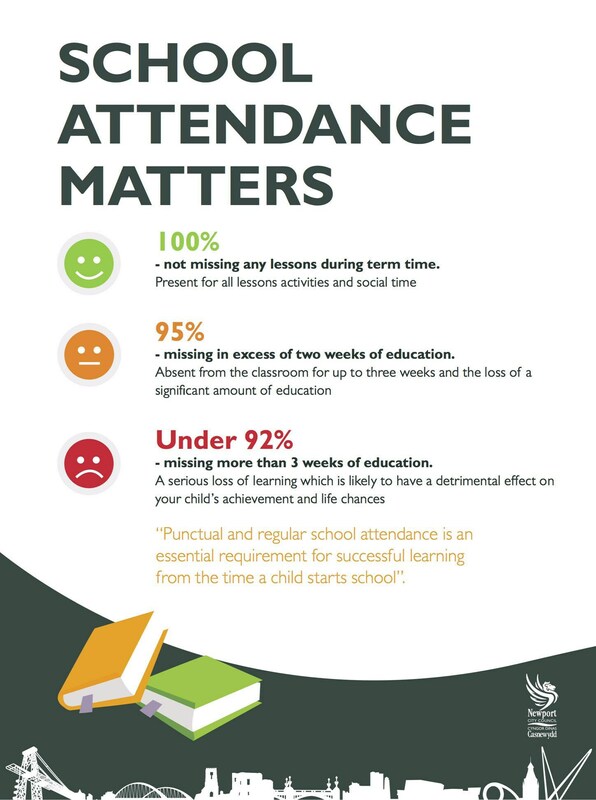 Closely linked to attendance, is the importance of punctuality. It is really important that children arrive in school, on time. This has an enormous affect on their wellbeing, as they are able to arrive alongside their peers and also serves to develop good habits for later in life. As with attendance, even missing small portions of the school day quickly builds into a more significant amount.